Found one file extension association related to Trimble Outdoors Navigator and 1 file format developed specifically for use with Trimble Outdoors Navigator. GPS. Compass. 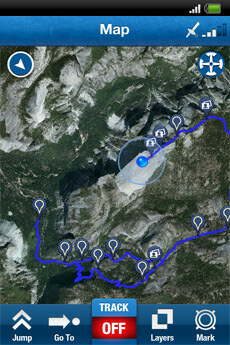 This app helps you navigate on outdoor trails, paddling routes and off-roading adventures. Mark and go to waypoints such as campsites, trailheads, important turns and more. Trimble Outdoors Navigator uses the GPS built into your phone and works in remote areas without a cellular or data signal. The Trimble Outdoors Navigator software seems to be old or discontinued. If you need more information please contact the developers of Trimble Outdoors Navigator (Trimble Navigation Ltd.), or check out their product website.